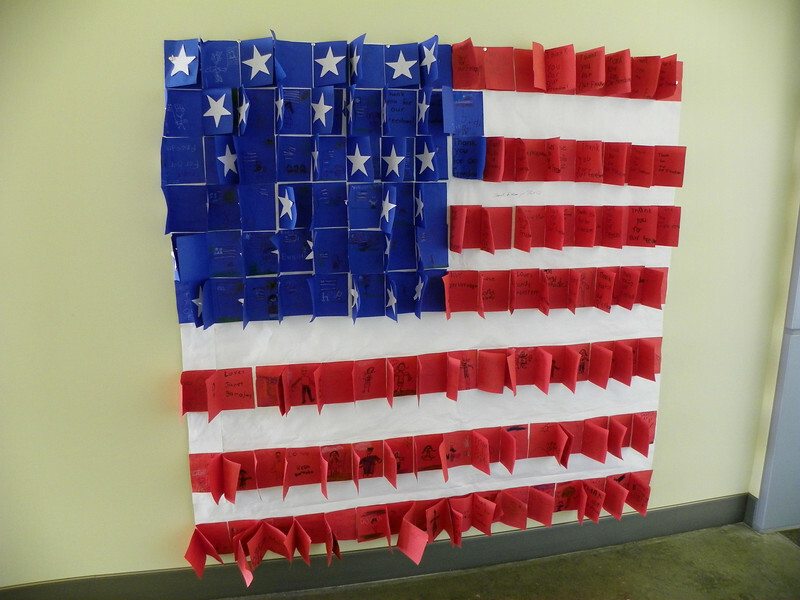 American Flag created by children, on display at the V.A. 's Long Beach Medical Center. Each flap reveals the words "Thank You For Our Freedom".